My Mac has been complaining about low disk space in recent days. I tried deleting lots of huge files and folders (more than 20 or 30 GB of them) but I still got the complaint and the free space does not increase. It seems like what I deleted has become purgeable content instead of free space. Okay, more than 60GB are purgeable. No matter how many files I deleted from the system, the purgeable content is increased, not the free space. Do you know what is going on? I suspect it is related to the encryption process because it is running at the moment (the progress is 80% at the moment), but I am not sure. As I doubted, it was the Encryption which caused the issue with purgeable space. Basically, when your Mac is encrypting the disk, you cannot remove some big files to get free space (perhaps they are being encrypted and Mac do not remove them immediately). Because of my low free disk space, the encryption is taking so long to complete. I patiently waited for it to finish and all purgeable space become free space automatically (it is now more than 60GB). Not the answer you're looking for? Browse other questions tagged mac hard-drive encryption . How to let Time Machine automatically delete older backup files to free up disk space? 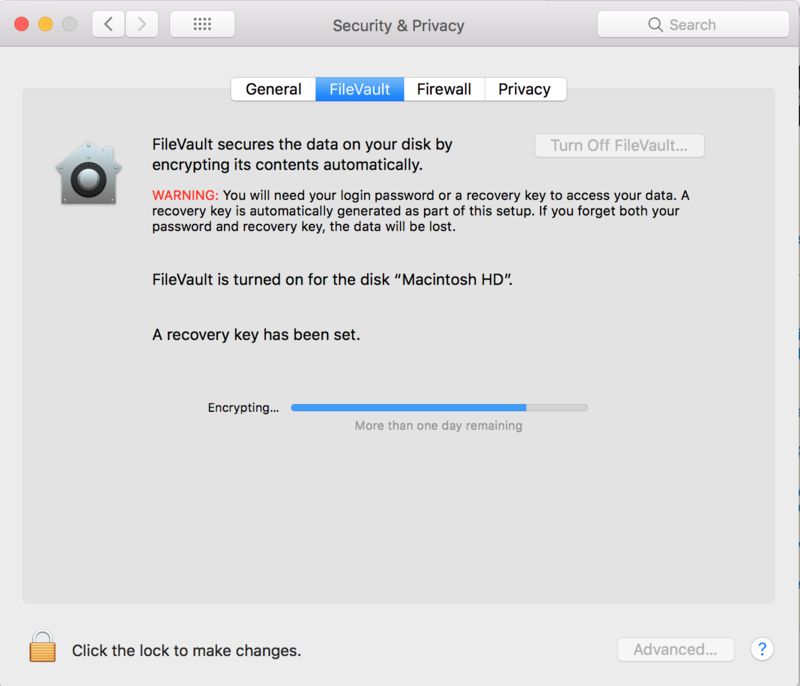 Does FileVault 2 also encrypt my free disk space? Can I delete the Apple_KernelCoreDump partition in High Sierra? 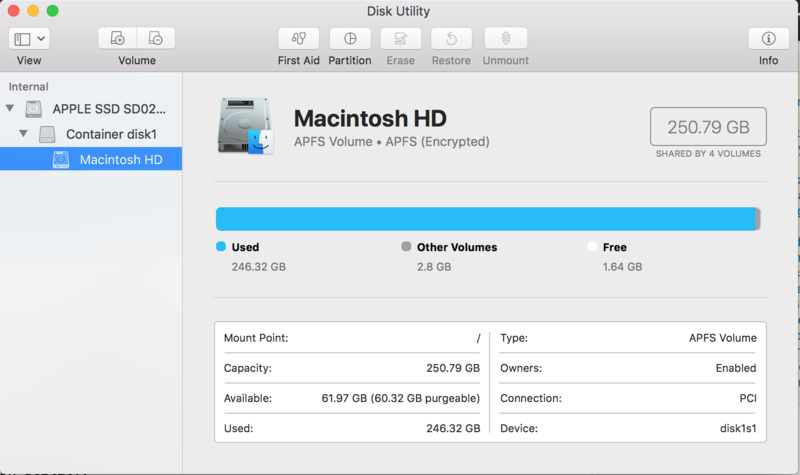 How do I delete purgeable space detected by Disk Utility?